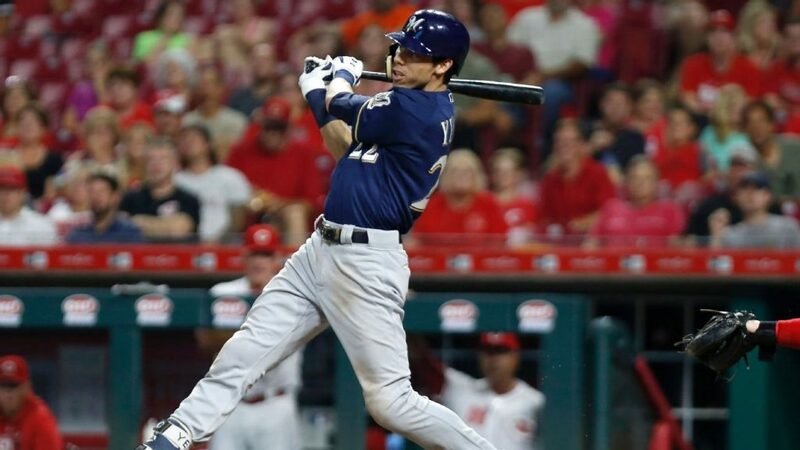 With four swings of the bat, Milwaukee Brewers center fielder, Christian Yelich, went from a successful baseball career to one destined for the record books. This week Yelich hit a single, a double, a triple, and a home run all in the same game. This is called hitting for the cycle; and, it is rare. How rare is it to hit for the cycle? Only 322 players in Major League Baseball (MLB) history have hit for the cycle. What makes Yelich’s performance more impressive is that it’s the second time he hit for the cycle this year. That puts him in very rarified air. Since 1883 only five players, including Yelich, have hit for the cycle twice in one season. Depending on which source you reference, there have been somewhere between 19,097 and 19,423 (Baseball Reference) professional baseball players in the history of the game. Using the more conservative number, that means that one in 3,819 professional players have hit for the cycle twice in one season. That makes Yelich an elite among the elite. Odds are pretty good that your prospects for a career as a professional athlete, in any sport, ended quite some time ago. I haven’t donned a baseball uniform for well over 30 years. I have lost all hope that my phone will ring on draft day. That said, I did throw out the first pitch at a Vanderbilt University baseball game a couple of years ago. Here I am with my former student Collin Snider. Just in case you’re confused, he’s the taller and younger guy on the right. Today he pitches for the Lexington Legends which is part of the Kansas City Royal’s system. As I looked at Yelich’s record setting performance, I noted four things about his behavior that serve as great lessons for all of us. These behaviors reveal how bad he wanted it and can help us to achieve success in our roles. After reaching the majors in 2013, Palm Beach Post interviewed Yelich’s friends, family, and former teammates and coaches to learn more about the player joining the Marlins organization. Friends called him disciplined, his mom noted that he was a perfectionist who was hard on himself, and his coach shared that Yelich would stay after practice ended to practice even more. Yelich has put in the necessary time on the field and in the batting cage to excel in his chosen sport. Yes, he has many natural talents. We all have talents. Some of us invest in building them and others choose to squander them. Yelich elected to invest. Hitting through the cycle takes plenty of luck. Your other teammates have to set you up for success, the pitcher must throw something you can hit, and the ball has to finds its way to an open spot on the field or in the seats. Everyone know that baseball players set most records on the field, not sitting in the dugout. The same is true for accomplishing anything that matters. You have to be willing to take the field and task a risk. Players like Yelich not only the get on the field to set records, but they want the bat in their hands. They want to step into the batter’s box and face a 90+ mile per hour fastball. They are hungry and willing to put themselves into the fray. Consider this. When Yelich hit his triple, it was the final piece needed to finish the cycle. It was also two hours into the game and toward the end of a grueling 162 game season. Yet, Yelich managed to cover the distance from home plate to third base in just over 10 seconds. That’s nearly the length of a U.S. football or FIFA soccer field. Plus, the runner is required two make two 90-degree turns. Granted, Yelich bats from the left side of the plate (shortening the overall distance) and rounds the corners as he touches the bases, but it’s pretty darn impressive. Are you putting in the prep time? When others are resting are you working, learning, refining, and preparing? What are you doing that is holding you back from better preparation? Do you expect great things to happen or are you snatching failure from the jaws of victory? What are you doing to actively increase your chances of success? How bad do you want it? Are you willing to step up and put yourself out there? Do you constantly sit back and let others take the lead to the detriment of yourself and your organization? When was the last time you dug a bit deeper, worked a bit harder, and went all in? Is it about time to do it again? I wish you all the best as you strive to deliver a record setting performance.